On the occasion of Hakka Day, on Wednesday 7 March 2018, Brussels hosted a ceremony to celebrate the friendship between Belgium and Taiwan. As part of the ceremony, Brussels’ iconic Mannequin Pis has been changed into traditional Hakka clothing. The Taipei Representative in the EU and Belgium expressed his gratitude to the city of Brussels for honouring the Hakka community which represents 20% of the population in Taiwan. 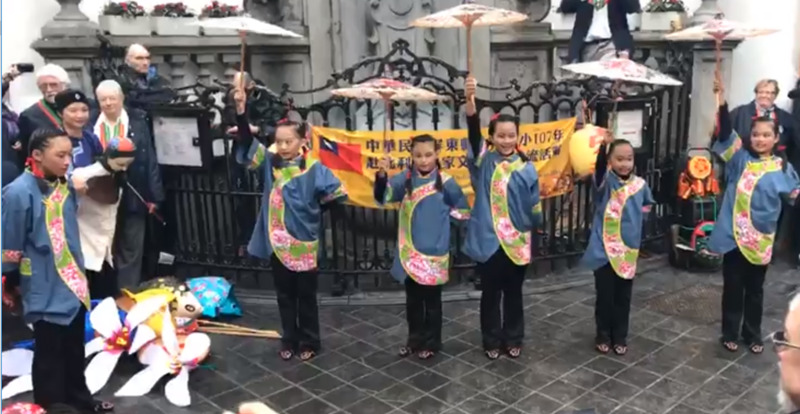 The ceremony was then followed by a dance performance of children from Nei Pu Elementary School.